ERMATINGER, FREDERICK WILLIAM, militia officer, businessman, and office holder; b. c. 1769, son of Lawrence Ermatinger*, merchant, and Jemima Oakes; d. unmarried 28 Feb. 1827 in Montreal. Frederick William Ermatinger and his elder brother, Lawrence Edward, were sent by their father to England in 1778 for their education. At age ten Frederick William was learning a variety of mathematical exercises and calculations necessary for a career in business. However, when Ermatinger Sr experienced serious financial difficulties in the period 1780–83, both sons returned to Montreal. In 1783 Frederick William began performing a number of tasks for his uncle Edward William Gray*, sheriff of Montreal. After Gray was appointed colonel commandant of the British Militia of the Town and Banlieu of Montreal in 1787, he named Lawrence Edward his adjutant, but when the latter returned to England about 1795 Gray replaced him with Frederick William, who had entered the battalion the previous year; Frederick William remained adjutant until he left the militia with the rank of captain-lieutenant in 1811. Gray was also a merchant and, being without children, he seems almost to have adopted Frederick William, assuming the direction of his nephew’s apprenticeship in business and introduction into the Montreal business community. On 15 Sept. 1791 he announced his intention of taking Ermatinger into partnership in his import-export business. He gave his nephew a one-third share to begin on 1 May 1792, when the firm became Gray and Ermatinger. 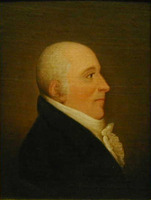 During the years 1792–94 Ermatinger visited England annually to establish business contacts there. Since Gray’s position as sheriff employed most of his time and attention, he withdrew from active involvement in the company in October 1795, and Ermatinger continued the firm’s operations of importing goods from Britain. Ermatinger struck out on his own into other fields of activity. In 1805 he was the treasurer of the Lachine turnpike. By 1806 he had acquired land in the seigneury of Ailleboust, his lot of 800 arpents fronting on the Rivière L’Assomption. In March of that year Sheriff Gray was obliged to seize his nephew’s land at the suit of the seigneur, Pierre-Louis Panet*, but in October Panet conceded a tract to Ermatinger in the same seigneury. Ermatinger also had a farm at Saint-Constant. From 1808 to 1812 he was engaged in the potash trade. In the 1790s and early 1800s Ermatinger began to participate in the institutional life of Montreal. He was a member of the Montreal Library from its inception as a joint stock association in May 1796 and its treasurer that year. 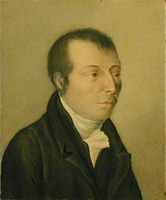 In 1803 he was appointed treasurer of the committee to build a new church for the Anglican congregation [see Jehosaphat Mountain*], and from 1803 to 1805 he was treasurer of the Théâtre de Société [see Joseph Quesnel*]. In his later years he was a member of the Horticultural Society and the Agriculture Society. He was among the first directors and visiting governors of the Montreal General Hospital and a visitor and, from 1822 until 1826, member of the managing committee of the National School, a free school for poor children. By the early 1800s Ermatinger had begun to receive government commissions. In May 1802 he was appointed secretary of the Board for the Encouragement of the Cultivation of Hemp, and in November 1807 he received a commission as treasurer and clerk to the commissioners for the erection of jails and court-houses. Two days after Gray’s death on 22 Dec. 1810, Ermatinger succeeded his uncle as sheriff. Working out of his residence and office on Rue Saint-Vincent in the faubourg Saint-Laurent, he carried out duties that included the management of the city jail and payment of the public executioner. He received fees for cases brought before the magistrates, or justices of the peace. Ermatinger had for some time been supplying goods to the fur trade and marketing furs. After his younger brother Charles Oakes established himself as an independent trader at Sault Ste Marie (Ont.) about 1808–10, Frederick William increasingly concentrated this aspect of his activities on his brother’s business. He served as Charles Oakes’s banker and paymaster, hired voyageurs, and acquired equipment, supplies, and trade goods, importing the latter from England or occasionally buying them in Montreal. The goods were shipped either over the Great Lakes or, if they were to be traded in the United States, as often as possible by an all-American route. Frederick William also acted as guardian to two of Charles Oakes’s boys when they were sent east to receive their education. At the same time as he was involved in that most traditional of Montreal’s economic activities, the fur trade, Ermatinger was among the pioneers of new business directions. On 7 Aug. 1817 he was elected a director of the first banking institution in the Canadas, the Bank of Montreal, founded that year. He purchased shares in the bank in his own name and in the names of all members of his family. As a director he sat on a committee to find a location for the bank’s operations. On his suggestion it chose a building belonging to Robert Armour*, but at the time in receivership, on Rue Saint-Paul. Although Ermatinger continued to serve as a director and committee member thereafter, he did so with no particular distinction until, beginning in January 1826, a factional struggle developed among the directors over the introduction of changes in the bank’s financial administration. The struggle was between the “old guard,” led by John Forsyth*, Peter McGill*, and Samuel Gerrard*, and the “insurgents,” led by George Moffatt* and James Leslie*. 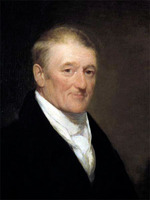 The equality of force of the protagonists gave the balance of power to a third group, the “neutrals” or “independents,” prominent among whom were John Molson* Jr and Ermatinger. Molson, Ermatinger, and Horatio Gates produced compromises on occasion, but Moffat and Leslie were able to rally the neutrals and to triumph on 5 June in a shareholders meeting that adopted a new set of regulations for the administration of the bank. Possibly in an effort to heal the wounds, Ermatinger resigned as a director four days later to allow the entry of John Molson* Sr, who had not taken part in the conflict and who was shortly after elected president; however, when the younger Molson resigned his directorship later that month, Ermatinger was persuaded to rejoin the board. He was a director of the Montreal Savings Bank as well. Ermatinger also expressed his interest in the commercial development of Montreal through participation in fledgling business organizations and investment in a number of new enterprises, particularly in transportation, which, with banking, was emerging as a major focus of activity. 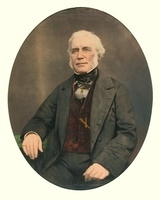 He subscribed to the Montreal News Room and Exchange, established in 1821, and the following year he was among the first members of the Committee of Trade. After buying 20 shares in the Montreal Fire Insurance Company in 1818, he purchased 20 the next year in the Company of Proprietors of the Lachine Canal. In 1823 he bought 100 shares of joint stock in a company manufacturing a steam tow-boat and two years later 10 in the Welland Canal Company. In October 1823 he had been one of 12 subscribers who announced their intention to seek authorization from the Lower Canadian legislature to establish a turnpike road from Montreal to Longue-Pointe (Montreal). He was also attracted to land, a traditional area of investment. In June 1825 he acted as chairman of a meeting to form the Lower Canada Land Company and to obtain for it the same privileges and rights as the Canada Company enjoyed in Upper Canada. A total of 49 persons subscribed £182,000 for 1,820 shares of stock, but the presentations made to the British government were not accepted. Ermatinger’s investments got him into financial difficulties in 1820 and 1821 when a lot and house on the St Lawrence were seized at the suit of Samuel Gerrard for non-payment of debt; since Ermatinger himself was the sheriff, the seizure was conducted by the magistrate Jean-Marie Mondelet*. Ermatinger died at age 58 of “an Astma complicated with dropsical complaints.” Despite a long illness he had continued to exercise the duties of sheriff to the end. His obituaries in the Montreal Gazette and La Minerve affirmed that he had led a regular, active life, was esteemed publicly and privately, and had fulfilled his responsibilities as sheriff with efficiency and conscientiousness. He was succeeded in that post by Louis Gugy*. Since he had never married, Ermatinger left to brothers, sisters, nieces, and nephews an estate that included his house and office on Rue Saint-Vincent, a farm of 100 arpents at Longue-Pointe, other properties in the Montreal region, 138 shares of stock in the Bank of Montreal, and shares in other firms. In the course of his business career Ermatinger had helped found or was a member of many of the associations and enterprises that brought together the commercial establishment of Montreal in the early 19th century. He had thus played an active role in promoting the interests of a growing English-speaking business community that would become a dominant influence in the economic life of Canada. ANQ-M, CE1-63, 3 mars 1827; CL1; CN1-185, 25 août 1809. PAC, MG 19, A2, ser.1, 1: 370; ser.3, 28, 31, 35–38, 40–41, 186, 188, 208; ser.4, 1; MG 23, GII, 3, vols.3, 5–6; MG 28, 11144, 1; MG 30, D1, 12; RG 1, L3L: 62162; RG 68, General index, 1651–1841. UWOL, Regional Coll., Ermatinger family papers, Edward Ermatinger papers. Canadian Courant and Montreal Advertiser, 6 July 1822. La Minerve, 1er mars 1827. Montreal Gazette, 1 March 1827. Quebec Gazette, 25 July 1799; 20 May 1802; 3 April 1806; 10 Dec. 1807; 10, 17 Jan., 16 May, 26 Dec. 1811; 23 July, 10 Sept. 1812; 21 Jan. 1813; 13 April, 17 Aug. 1815; 16 Feb., 1 Aug. 1816; 2 Jan. 1817; 12 Feb. 1818; 4 Feb., 27 May, 2 Sept. 1819; 12 Oct., 30 Nov. 1820; 21 Jan., 8, 15 Feb., 24 May, 22 Oct. 1821; 17 April, 13 Oct., 8 Dec. 1823; 19 Feb., 22 March 1824. Quebec almanac, 1795–1811. Boulianne, “Royal Instit. for the Advancement of Learning,” 400. Denison, Canada’s first bank, 1: 100, 236–37. Hochelaga depicta . . . , ed. Newton Bosworth (Montreal, 1839; repr., Toronto, 1974), 103, 128, 152. M. S. MacSporran, “James McGill: a critical biographical study” (ma thesis, McGill Univ., Montreal, ). R. A. Pendergast, “The XY Company, 1798 to 1804” (phd thesis, Univ. of Ottawa, 1957), 142. Myron Momryk, “ERMATINGER, FREDERICK WILLIAM (d. 1827),” in Dictionary of Canadian Biography, vol. 6, University of Toronto/Université Laval, 2003–, accessed April 22, 2019, http://www.biographi.ca/en/bio/ermatinger_frederick_william_1827_6E.html.